The Nexum Dirty Work Pack (DWP) is compact, simple to incorporate, and service friendly. 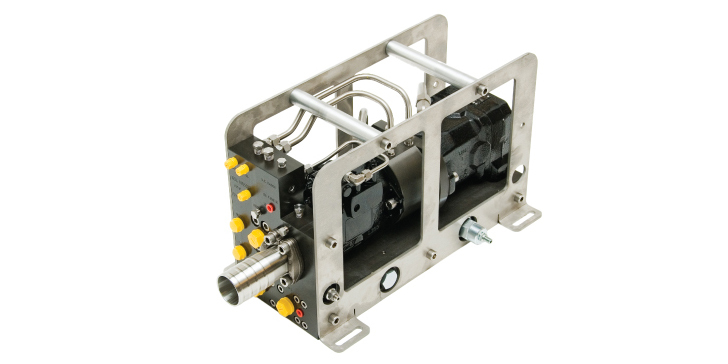 All components are well proven and easy to service, and all hydraulic connections are located in the end plate. The pump circuit has a built in pressure relief valve. The pump can be internally pressure compensated, remote pressure regulated or connected to a load sensing valve system. When the supply and pump pressure is the same, the flow rate is 66% of supply flow. The unit is rated to full ocean depth. 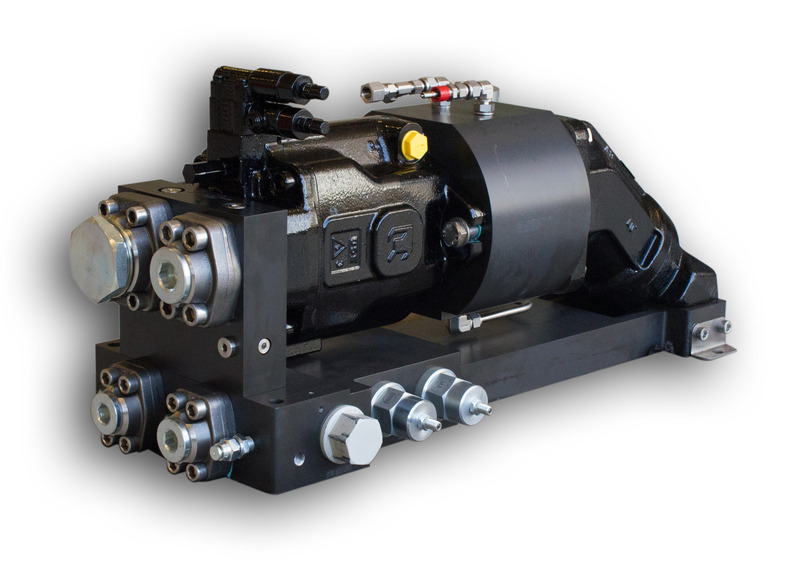 The DWP can be delivered as a complete unit with oil filters and compensators. The skid can be assembled as a backpack for rear end interface, or a flat skid for interface underneath the ROV. Efficiency is rated to 66%.